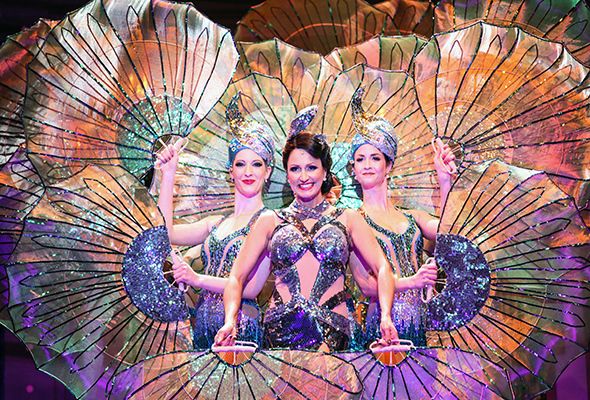 Sponsored: Glamour, show-stopping costumes, dancing and fun – The Merry Widow is an unmissable comedy classic. It’s one of the gems of Viennese operetta – now the ballet ensemble and orchestra of the Budapest Operetta and Musical Theatre, alongside soloists and a chorus, will tread the boards of Dubai Opera to perform the wonderfully light-hearted The Merry Widow for three days from February 21 to 23. When was it first performed? The premiere took place at the Theater an der Wien on 30 December 1905, and has been a crowd-pleaser ever since. It went on to tour Austria before travelling to Hamburg, Berlin and Budapest, becoming an immediate international hit. More than a hundred years later, the operetta continues to play to packed houses all over the world. In a nutshell, Franz Lehár’s The Merry Widow follows the attempts of Baron Zeta, the ambassador of fictional Balkan principality, Pontevedro, in Paris, to secure a husband of the same nationality for the extremely wealthy and newly widowed Pontevedrian, Hanna Glawari. Were she to take a French husband, the transfer of her fortune away from the Balkan principality would lead it to collapse. What follows is a hilarious tale of illicit affairs, mistaken identities, misread intentions and crossed messages. The Merry Widow is not a work to be taken seriously. 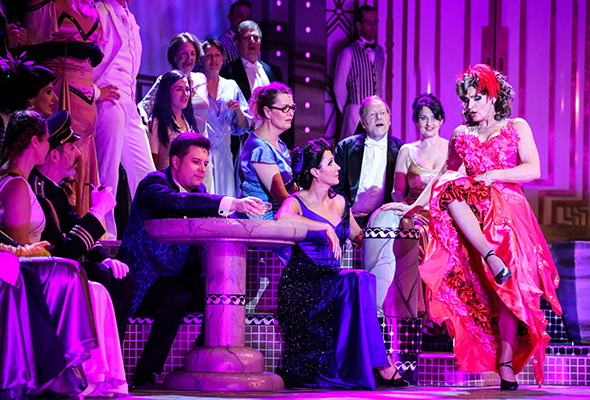 Irreverent and glamorous, the operetta is one party after another, full of music, dancing and fun. The production is sung in German, with English and Arabic subtitles. Conducted by László Makláry, the Director of the Budapest Operetta and Musical Theatre, the operetta is set in the vibrant, artistic city of Paris in the early 20th century. The cast includes Mónika Fischl, a soprano as the female lead, and Attila Bardóczy, the male counterpart.